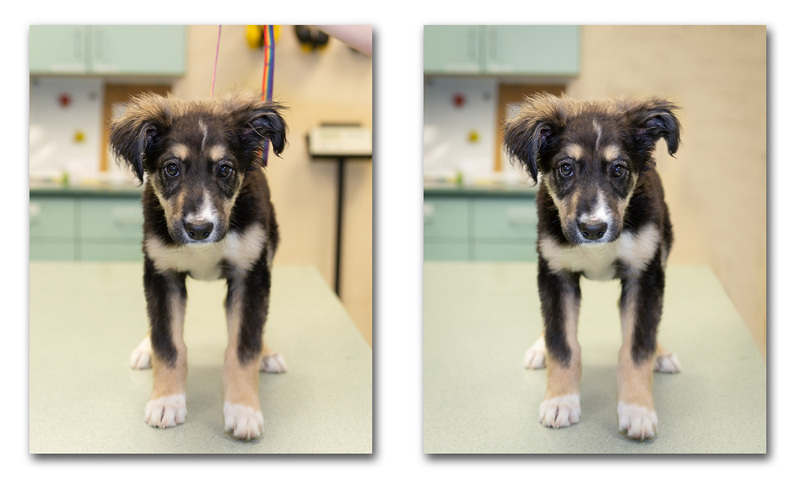 It is week 15 of the Pet Photographer’s Project 52 blog circle and this week’s theme is “leash removal”. 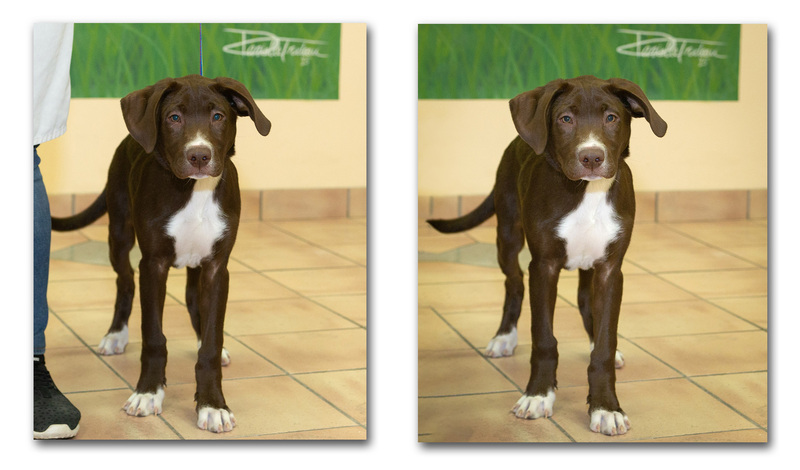 At Animal Services, special considerations and precautions are taken to protect the young pups. For this reason, their photos are done inside and in a controlled environment… often in the exam room. I definitely need a helper here and all the pups are usually sporting a lead of some kind. 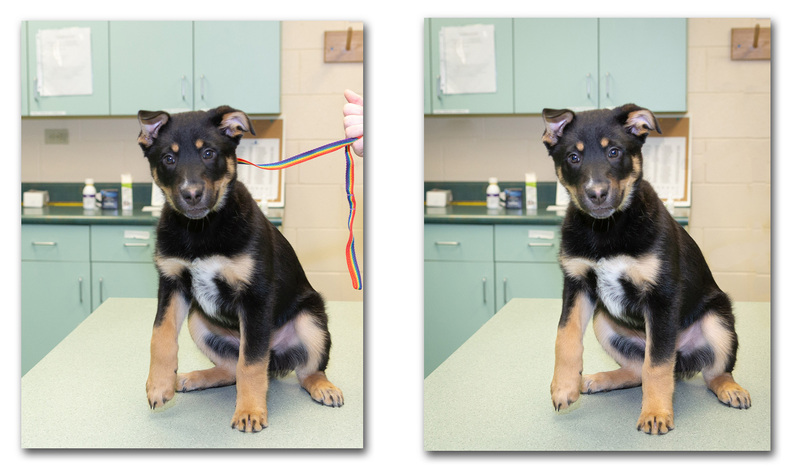 As a result, leash removal is usually a part of my post-processing workflow. PhotoShop has some amazing tools that make leash removal quick and easy. The ones I tend to use the most are the spot healing brush tool, the patch tool and occasionally the cloning tool. Most of the adult dogs have their photos taken in the outdoor enclosure where leashes aren’t required. But Occasionally a lead is still needed if the dog is a bit skittish or has had a recent medical procedure. When out and about with Lacie I often use a long lead. It gives her more freedom and most importantly, keeps her safe. 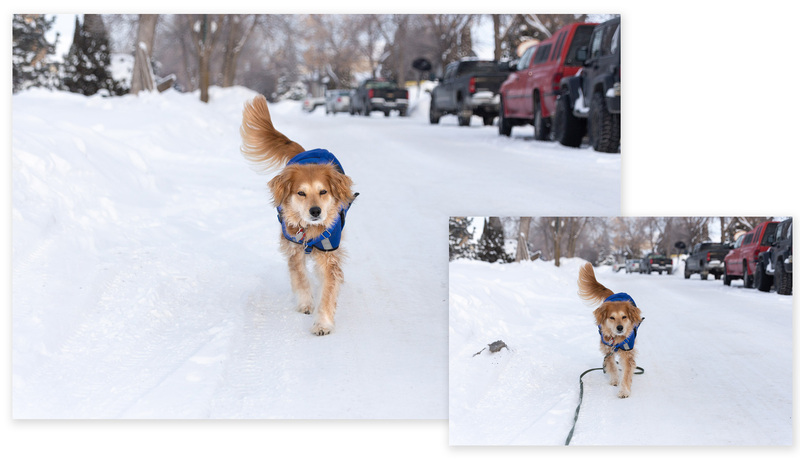 For more examples of leash removal, simply follow the links on the Project 52 Pet Photographers blog circle. To see what the next photographer is sharing, visit Kim with BARKography based in Charlotte NC. Continue to click the link at the end of each post in the blog circle until you eventually find your way back here. Enjoy! Wow, removing the leash when it is wrapped around the body! Great job – good examples! I use a similar long leash with Bella. It’s a blessing!